Increase purchase confidence and valuations by allowing customers to preview art in their home. Selling art is no longer just about the physical gallery – websites and digital art marketplaces have evolved to reach millions of customers online. Augmented Reality (AR) is the next step – let customers try your art in their own home. Buying art online leaves customers with many questions – how does the art impact my space? Does it fit with my existing collection or which frame would look best? 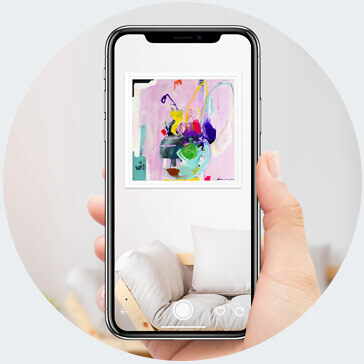 Augmented Reality solves this issue, empowering customers to visualise art in their home, increasing their purchase confidence & speeding up sales. 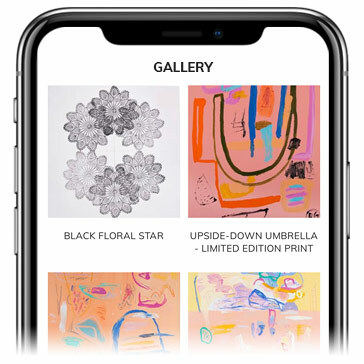 INHAABIT provides everything you need to get started with a successful AR art gallery solution. We build you a fully branded AR app that allows you to self-manage your art. Augmented Reality is the ultimate way for customers to try art before making a purchase. According to Google, 34% of customers would use AR for shopping and 61% say they would prefer to shop at places that offer AR. It’s easy to get started with INHAABIT’s Augmented Reality art solution. You can quickly set yourself up with a fully branded art visualisation mobile app and as many products as you would like to showcase to your customers. We’ll get you up and running effortlessly.